Babita returns to her desk and sees workers on strike. Satnam says Babita warned to dismiss them if they don’t work, now they are all demanding to dismiss her and will not work until boss agrees. Babita reaches Hanuman’s police weeping. Hanuman asks Laala to get tea for Babita. Babita cries that she came to seek help from them and asks if police uniforms can be delivered next week. Hanuman gets angry and asks if Trilok sent her for favor. Babita says no and explains her ordeal, how Satnam is troubling to grab supervisor’s job and playing gender card, he now provoked workers to go on strike until she is dismissed from her job. Hanuman says most women face this problem and she is not the only one; she will not get an easy desk job and should learn management qualities first, etc. Babita continues crying. Hanuman offers her tea and consoles her with his encouraging gyaan. Preet tries to teach Minnie for her entrance test while Minnie is busy checking shoes online. She requests Minnie to stop browsing and concentrate on her studies. Minnie says she will and continues browsing. Preet takes her out to divert her mind and offers her pani puri. Minnie says she will eat spicy panipuri and not sweet one and even forces Preet to have spicy ones. They both enjoy pani puri huffing and puffing. Babita reaches in auto reminiscing Hanuman’s words. Minnie sees her and drags her for pani puri. They all 3 enjoy pani puri again. At Ashok’s house, Lovely serves samosas to Ashok. Ashok bites it and shouts it is very spicy. Biji offers him sugar and banana. He shouts they can have spicy food and walks away. Biji asks what happened to him. Meeta reveals that they saw Babita in hotel who had come to use washroom and explains rest of the incident. Biji does not react hearing Babita’s ordeal. Lovely yells if Ashok insults Sukhi like he insulted them, she will not keep quiet. Babita meets Nayeem Bi and explains her ordeal. Nayeem Bi asks how can they not even have washroom in a factory and curses Satnam and workers. Babita says Hanuman is right, every women face problems and she needs to develop leadership qualities. Nayeem Bi says Hanuman is very rigid. Babita gave example of a great man, he meant Gandhiji. Nayeem Bi says she cannot meet Gandiji to get gyaan. Precap: Hanuman tells Babita that she needs to use Chanakya gyaan/knowledge. 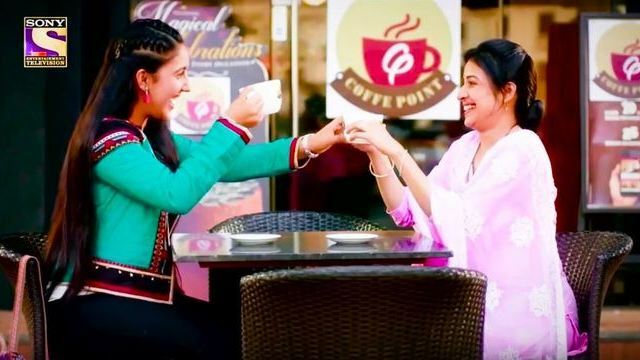 The post Patiala Babes 11th March 2019 Written Episode Update: Babita’s Factory Workers Go On Strike Against Her appeared first on Telly Updates.